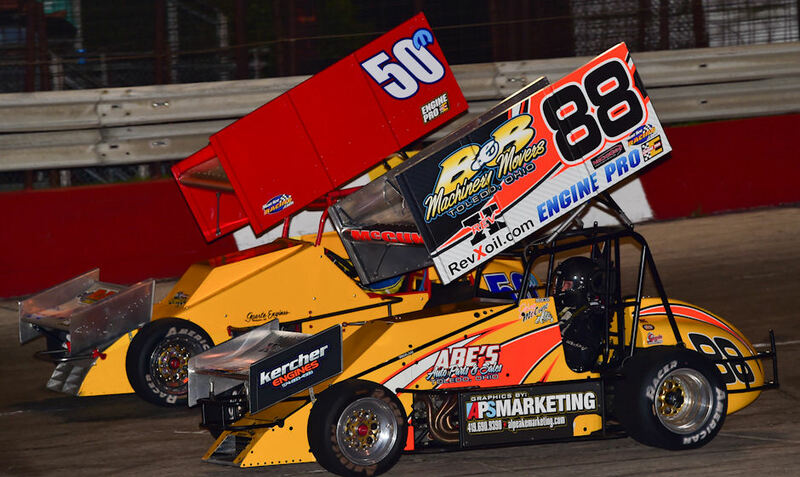 The three-eighths-mile oval has been the site of some of the series’ most thrilling back-and-forth battles over the past two years, seeing stars like Jimmy McCune and Jason Blonde drive on the edge of control en route to victory at the ‘Big O’. 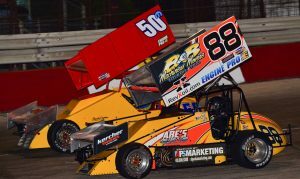 McCune and Blonde battled head-to-head in both series races at Owosso last year, with each picking up a victory along the way: McCune on July 4th weekend and Blonde on the opening weekend of August. This go-round though, McCune will have a new rival to joust with in the form of fellow two-time series champion Brian Gerster, who is coming off a sweep of MSR’s Western Swing doubleheader at Madison Int’l Speedway and Rockford Speedway and hopes to put a vicious Owosso crash last year behind him. With all that in mind, Gerster – who won the very first MSR-sanctioned event at Owosso in 2014 – would like nothing more than a repeat performance of that day three years ago, and would savor taking down the McCune team again after watching them win four of the season’s first five events. McCune enters the David D. Mateer Memorial/Must See Fast 40 as the championship leader, seeking both his fifth win of the season and his record third-consecutive points title. He currently carries a 66 point lead over 19-year-old nephew Anthony in the championship race, but McCune said that he can’t overlook his recently-renewed on-track rivalry with Gerster entering Owosso. Of note, the field will also be racing for additional money at the Owosso event, as a $500 bonus will be presented to the fast qualifier in addition to the $2,500 winner’s share of the feature purse. Both top prizes will be presented as part of the David D. Mateer Memorial initiative on race weekend, honoring former American Racer Tires president, the late David D. Mateer. American Racer is the official tire of Must See Racing, and their tires are part of a tradition of craftsmanship and innovation that dates back to 1915. Pit gates at Owosso open on race day at 12 noon, with hot laps kicking off at 2 p.m., qualifying following at 5 p.m. and racing getting underway at 7 p.m.
For more information on the Must See Racing Sprint Car Series, visit the series on the web at www.mustseeracing.com.